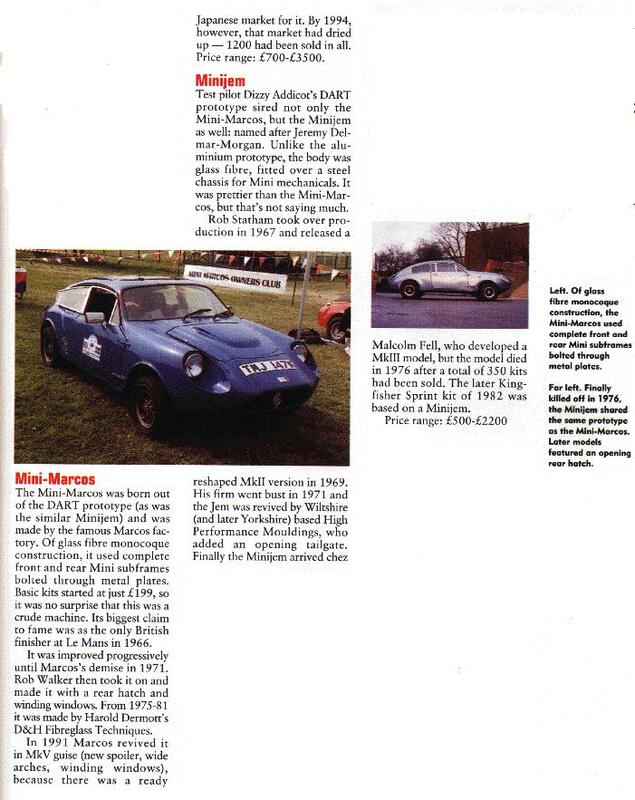 A four-page survey of Mini-based kitcars including Mini Marcos and Mini Jem. monocoque and does not have a steel chassis. Your webmaster's Robin Statham Mk. 2 Jem is pictured.